When Rabobank ended its team sponsorship after 16 years, few had seen it coming, certainly few of the riders were aware that the rug was about to be pulled from under them. Rabobank decided to continue to fund the team for part of the year, honouring its contractual obligations, but the team would ride with no sponsors while Giant, the Taiwanese firm with its European base in Holland, would also continue to back the team. At the start of the year, the team’s Grand Tour leader Robert Gesink spoke of the need to keep the group together as well as the rather more prosaic need to get some decent early season results to attract a new sponsor for a World Tour squad for the following year. It was clear that if the results didn’t come and morale and confidence crumbled then elements of the team would be picked off by other squads looking for riders with points and the team would fall apart. The mindset of a set up that had been existence (in some form, since 1984 with Kwantum Hallen) for almost 30 years is hard to alter. However, there were some signs that even when Rabobank was there that the ‘under new management’ signs really did signify changes. “We started working on a new structure, the way worked with riders, the way we coach riders and staff is very different from the way Rabobank worked before and six months on you can see and feel the difference,” Plugge told us. “It was a lot of hard work but I think it’s paid off. It’s a little bit like the way Sky works – maybe – although doing things our way. For example we are working with the Cruyff University in Amsterdam for sports management and coaching, and all the staff work there – our sports directors and the other staff – are working with them to try to find every inch we can where we improve ourselves. Directeur sportif Frans Maassen, an ex-rider from the WordPerfect and Buckler era who had worked with the young talent – the juniors and the Under-23 teams at Rabobank – switched over to work with the Rabobank pro team in 2011. He was a little disappointed in the results in the bigger races this season, but understands why. In as much as Sep Vanmarcke finished a close second to the all-conquering Fabien Cancellara in Paris-Roubaix, the new team was a few centimetres away from glory, so perhaps the squad doesn’t need to feel too down. And now the middle part of the season is about to get underway at the Giro d’Italia and stage race team leader Robert Gesink (pictured, right) is expected to step up. At a pre-Giro press conference (and after finishing 54th in the Tour of Romandie following a Tenerife altitude training camp), Gesink said, “I would have liked to have built up a bit more confidence in Romandie, but I know from myself that I will usually have a few dips in the week after hypoxic training – the real benefit hits me about a week after – so I am not at all concerned. And those goals for Gesink include finishing in the top five in the Giro’s general classification which, for a rider with his stage racing pedigree, you wouldn’t imagine was unrealistic. 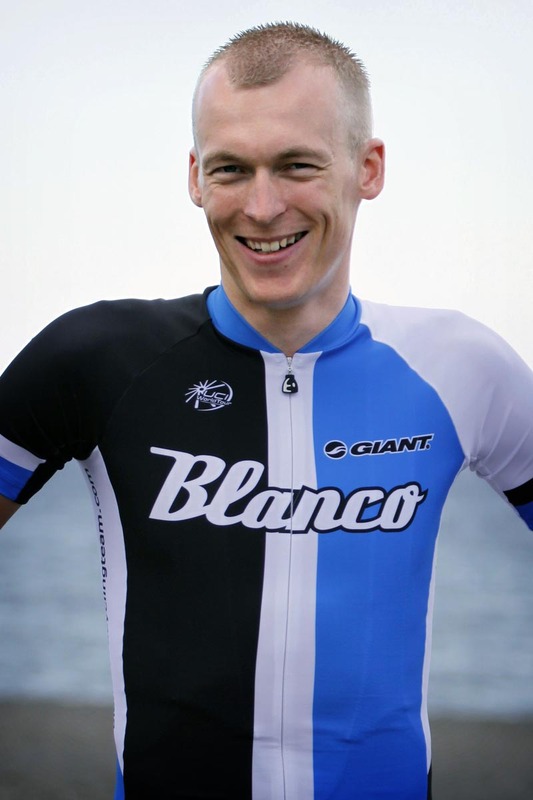 In any case, general manager Plugge is confident that the new-look Blanco team (where Bauke Mollema is a spokesman for a Dutch 100% Dope Free anti-doping campaign), will snag a sponsor for 2014 and beyond. And, if Gesink comes up short in the Giro, it looks like the team’s young talent pool is starting to come good. 22 year old Wilco Kelderman finished as best young rider in Romandie after his Tenerife excursion with Gesink and the Giro team – Kelderman will ride the Giro as his first ever Grand Tour. Wins in the Tour Down Under, runner-up in Paris-Roubaix, followed by a best young rider in the Giro and a top five overall for Gesink would surely secure the team’s future.